A blend of rich history and fascinating culture makes Central Alberta a wonderful place to visit—especially for golf enthusiasts. 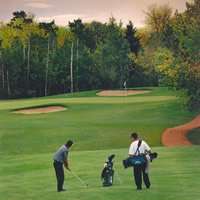 With several quality golf courses in the region, Central Alberta offers a wide variety of unique golf experiences. Whether you're looking for a competitive game or a fun round with your family and friends, the possibilities for golfing in Central Alberta are endless. So what are you waiting for? Use our golfing in Central Alberta page to jump-start your next summer golf getaway in the heartland of Alberta. The signature hole on the front nine is Hole 6, which is a 530-yard par five with an island green. At the Camrose Golf Course in central Alberta, both the patrons and employees are very valuable to the facility and over the years the course has played host to many great personalities. The front nine at the Camrose Golf Club is primarily flat while the back nine offers a more physical challenge with a hilly landscape. Three minutes from downtown Bonnyville, Alberta, population about 6,000, the Bonnyville Golf and Country Club is a world of lush green serenity. This volunteer-based Alberta golf club is central to the Elk Point community. Find open skies and breathtaking scenery at one of southern Alberta’s most popular golf destinations. This gorgeous club is equipped to please golfers of all kinds. If you are on the road in Alberta, and checking out the vibrant town of Okotoks, you can experience a great game of golf amongst the rivers, mountains and plains. 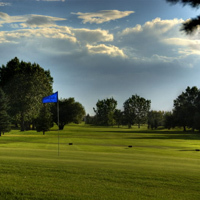 Crystal Ridge is a beautiful nine-hole golf course located on the northeast side of Okotoks, and not far from South Calgary. Big sky, trees, natural ponds and gentle enhancement of the naturally undulating terrain combine to make playing Pheasantback Golf Club’s course a pleasure for anyone who appreciates nature’s beauty. Enjoy the lush greens and length of this unique golf course in Central Alberta. 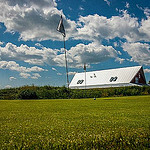 Good food, friendly people and picturesque scenery make Country 9 a great place to golf. Bashaw Golf and Country Club is positioned on the shores of Buffalo Lake, with a campground adjacent to the beach, a clubhouse, and a century-long history of golf.